and into our fall schedule. I know, it seems late to me too. But we were enjoying the freedom while we had it. Now I'm enjoying the routine. I'm an organized, list-making, calendar-loving, routine kinda girl. with the big kid and his restaurant of choice. I think this might become part of the tradition. Waiting on his special rug. This is where I say goodbye. And I can't stop kissing him and taking pictures. This is not my first time dropping him off at a school. But, I feel bad for switching schools on him. And having him start all over again. He had a great first day with much to tell. It still seems like he's a little past all this preschool stuff. But I know I'm making the right decision for him and his future. He's a summer baby and is already 5. We elected to not send him to kindergarten this year. I was sending him to school at 6.
but it doesn't mean I haven't wavered here and there. We thought there was no reason to rush him. He is academically, socially, emotionally & physically ready for kindergarten. But why not give him an advantage? a little more developed and a little more ready. a little underdeveloped and not quite ready. I once had a friend share some advice given to her about HER son. or one more year of childhood? Cause that's essentially what you're deciding." Hmm. That's something to think about. I am a summer baby too and was put in school at 5. My dad regrets sending me early. I did fine. I was a girl so I had that extra little bit of maturity. But I bloomed later than everyone else. Everyone could drive before me. I graduated high school at 17. I graduated college at 21. Oh yeah, and jobs, bills, debt and no mercy. Things have turned out fine for me. Just like they would have for Jay. But why not give him an extra leg up? There's just no reason not to. Life's hard enough the way it is. but isn't that our job as parents? To do the best we can to prepare our children for adulthood? So one more year of preschool. 3 days instead of 2. Next year 5 days a week at the "big kid school". And believe me, he can't wait. 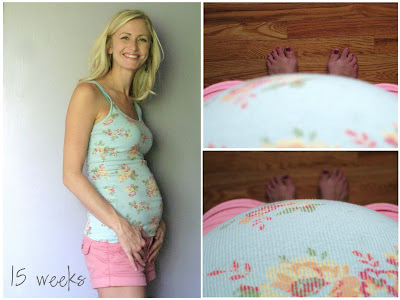 I've had a baby bump since I found out I was pregnant. I guess that's what happens when you're on pregnancy #4. But I'm just now able to pass it off as a prego belly. So I'm doing my best to document it. every week til this babe is here. And I'll share the photos with you. And it will force me to try to look cute at least once a week. I'm 16 weeks now, so just playing a little catch up. Oh, and did my face get fatter in a week? Why yes, it sure looks like it did. I'm one of those really lucky people that gains weight in their face. Just wait til I'm delivering...it will be ADORABLE. I've also been eating like I'm a bottomless pit/black hole. So that could be some of it. This is seriously how big I was with Jaymin at 6 months. 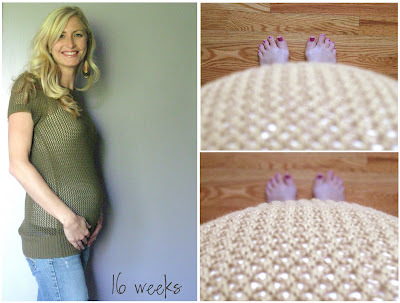 Girl, you look absolutely fantastic, love the toe/belly ratio pics such a fantastic idea. Keep on cook'n sister! 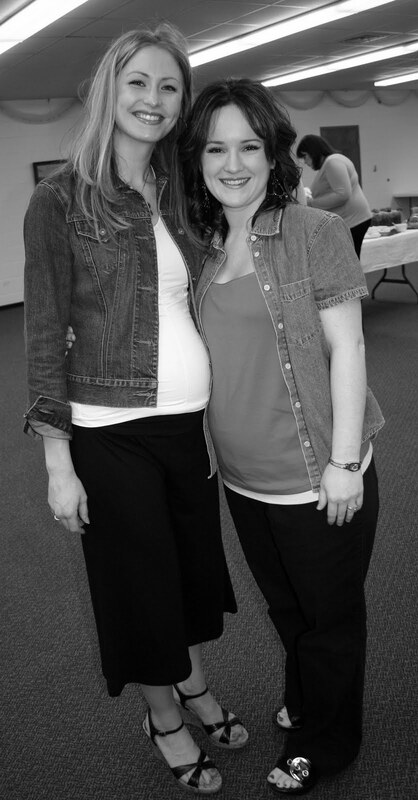 you are a super adorable prego lady! what preschool are you sending jaymin to? also, we are probably going to try out your church this sunday. Chelsea, I think you are doing the right thing. It is so commendable to those parents who take time to consider all options rather than doing what is the "norm". God entrusted us to teach and mold our children and why not give them every advantage possible.